Snacking on top of Kittatinny Ridge with Halfpops. Having snacks that are delicious, nutritious, and appealing no matter how exhausted I am on the trail is super important. I'll typically pack some snacks that are nutrient-dense, some that will give me quick energy, some that'll keep me full as long as possible without putting me to sleep, and some that just plain taste good. This fall, I added three new snacks to my clean eating favorites list from Halfpops, Primal Pacs and Frontier Snacks. Though my mother cautioned me against eating partially popped popcorn kernels growing up, ("You'll crack your teeth! ), I loved digging through a bowl of fluffy popcorn in search of kernels that didn't fully explode in the pot on the stove. Now, those of us who crave that satisfying crunch can get it without the extra effort. Halfpops are exactly what you'd expect - partially popped corn kernels. They're gluten free, nut free, corn syrup free, preservative free, and are made from non-GMO kernels. Halfpops come neatly packaged in snack-sized 2 oz. or 6 oz. bags, and they're perfect for taking just about anywhere. I dropped a few bags in my backpack on a hike, which I'd never be able to do with other salty snacks that easily get squished. The kernels are popped just enough that there's not need to worry about cracking teeth, but they're perfectly crunchy and terribly addicting. The Halfpops samples I tried came lightly dusted with Aged White Cheddar, Ocean Sea Salt, and given I prefer food that comes with cheese over food that doesn't, the Aged White Cheddar sample was my favorite. They're not nutrient dense, but they're a source of quick carbohydrates, and they're just plain yummy. Also, I'm not the only outdoorsy Halfpops fan; the company won an Editor's Choice award from Backpacker. Mid-hike snacking with Frontier Bites. If you're tired of energy and granola bars full of sugar and artificial ingredients, you'll identify well with Nate and Matt Oscamou. 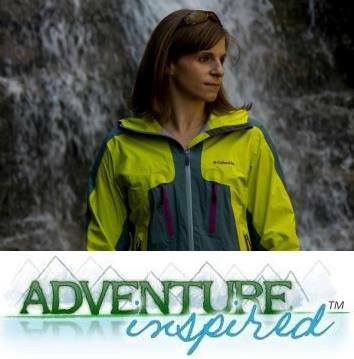 Their goal was to create a bite-sized alternative to energy bars made with simple ingredients that still taste great. And from what I've tasted, I'd say mission: accomplished. Inside each resealable zip top pouch of of Frontier Bites, you'll find handfuls of what looks and tastes like your favorite healthy cereal in one-inch cube form. They're bite-sized, crunchy, sweet, and most importantly, they're good for you. Frontier Snacks uses eight ingredients, all of which are gluten free, soy free, dairy free and GMO free. The almond blueberry lemon bites were my favorite, but the pecan cherry cinnamon and macadamia pineapple coconut bites were both delicious as well. The fact that I could open a pouch, pop a few in my mouth as a snack, then seal the pouch back up again meant I didn't have to eat the whole bag in one sitting. (Confession: I might have anyway...) Each pouch comes with five servings, but if you prefer a single serving option for easy transportation, Frontier Snacks makes single serve Frontier Bites packages. High protein snacks are super important on the trail, and given I typically eat around 160 grams of protein each day as part of my CrossFit competition nutrition plan, they're an essential part of my diet. But run-of-the-mill jerky doesn't cut it, especially when it's full of preservatives. 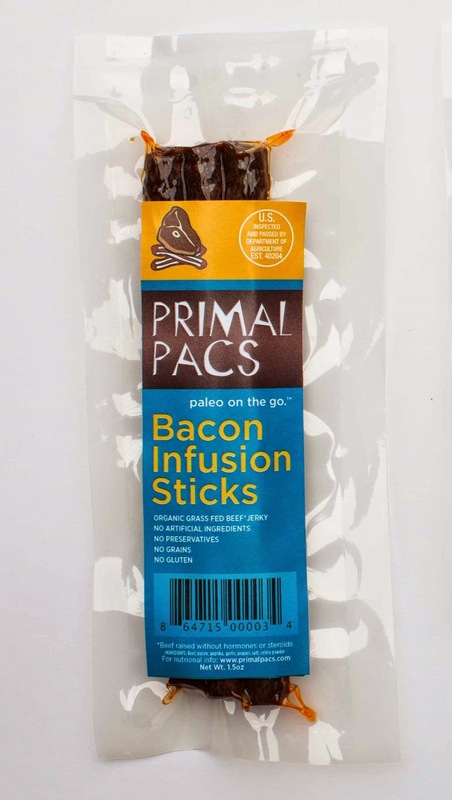 I've been a Primal Pacs fan for a while, but when I found the bacon infusion sticks, I couldn't believe they were real. Primal Pacs uses organic beef along with 100% nitrate free and sugar free bacon to make the bacon infused jerky sticks. The sticks are essentially just meat and spices, so they won't last as long as jerky sticks with preservatives, but they taste so much better. They're not overly chewy or dry, and the bacon flavor is subtle, but present. I've taken them on hikes, to work, and I'll usually keep a package or a Primal Pac in my bag for emergencies. They're a little on the pricey side at $3.40 for 1.5 oz., but I'm willing to pay more for a high-quality product. If you're tired of jerky full of preservatives, give these a try. And they have bacon in them; need I say more? Frontier Snacks and Halfpops provided me with complimentary samples for this review, but these opinions are my own. Do any of these snack options sound good to you? Do you prefer sweet or salty snacks when you're on the trail? We'd love to hear from you!